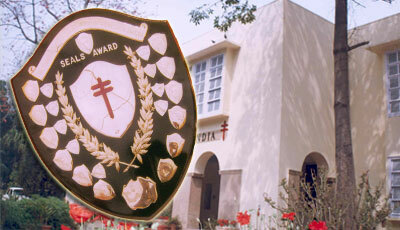 KHUSHI RAM SHIELD is awarded for excellent activities done during each year by a State Association. THE BHAI MOHAN SINGH CUP is awarded for general activities and achievements by a State TB Association every year. A SPECIAL AWARD for all round activities by a State TB Association and a Special Souvenir for consistently good performance and all round activities by a State TB Association. THE RUNNER-UP CUP for the second best collections by a State TB Association. THE SILVER CUP for smaller States for highest collections by a smaller State/Union Territory. THE SPECIAL TB SEAL AWARD for best collections by a smaller State/Union Territory. An Awards Committee comprising eminent TB workers adjudicate the above awards every year and the awards are presented at our Annual General Meetings. DR. P.K. SEN TAI GOLD MEDAL ORATION, instituted in 1996, is awarded in honour of late Dr. P.K. Sen and is delivered at the time of the Annual National Conference on Tuberculosis and Chest Diseases, every year. The Oration consists of a Gold Medal and a Certificate and is awarded to a senior TB worker who has made outstanding contributions to the cause of Tuberculosis Control in India. TAI Oration, instituted in 1982, to commemorate the centenary of the discovery of Tubercle Bacillus by Robert Koch - courtesy TB Association of India, is generally awarded to a very senior/eminent scientists (for national and international doctors � age no bar) who have made notable contributions/researches in the basic disciplines underlying TB control such as epidemiology, statistics, etc. The purpose is to acknowledge and give recognition to their contribution and excellence in the field of tuberculosis. The Oration consists of a Silver Medal and a Certificate of honour. LUPIN TAI ORATION, instituted in 1991, is awarded to a person who has made outstanding scientific contributions in the field of tuberculosis control, preferably on clinical, operational, sociological, managerial, etc. aspects or in a field having a vital bearing on them. This Oration carries a cash award of Rs. 15,000/- courtesy Messrs Lupin Laboratories Limited, Mumbai and a certificate of honour. Dr. R.C. Jain Lifetime Achievement Award, instituted in 2011, carries a cash prize of Rs.25,000/-, a memento and a certificate of honour. Dr. S.N.Tripathy Memorial Oration, instituted in 2011, carries a certificate of honour, a silver medal and Rs. 10,000/- in cash. "CHARU CHANDRA DAS MEMORIAL AWARD", is awarded to a person, not more than 45 years in age, who has rendered meritorious service in any field of tuberculosis. The award carries a certificate of honour and Rs.25,000/- in cash. Dr. K.C. Mohanty�s award for the best performing state in RNTCP The award carries a certificate of honour, a rolling shield and cash incentive of Rs.5000/-.